In 2018, the county collected 71,960 tons of hazardous waste, thus creating a safer environment for Lake County and its residents. Lake County is encouraging county residents to dispose of unwanted household hazardous materials in a safe and environmentally conscious way at its first collection event of the new year. Lake County Solid Waste’s Household Hazardous Waste Mobile Unit will be accepting items from 9 a.m. – noon on Thursday, Jan. 24 in the parking lot at Minneola City Hall, located at 800 N. U.S. Highway 27, Minneola. Staff will offer convenient drive-through disposal so residents don’t have to leave their vehicles, and will be on-hand to collect small quantities of waste products such as lawn and gardening materials, photo and swimming pool chemicals, paint and related products, cleaning solutions, motor oil and gas, batteries, fluorescent lamps, light bulbs and small propane tanks. Materials such as infectious waste, solvents, chemical laboratory waste and radioactive waste are prohibited. Excessive amounts of hazardous materials will not be accepted due to limited space in the mobile unit. The collection events are open to Lake County residents only. For more information about this event, or to find out about future collection events, visit http://www.lakecountyfl.gov/hazardouswaste or call Lake County Solid Waste at 352-343-3776. 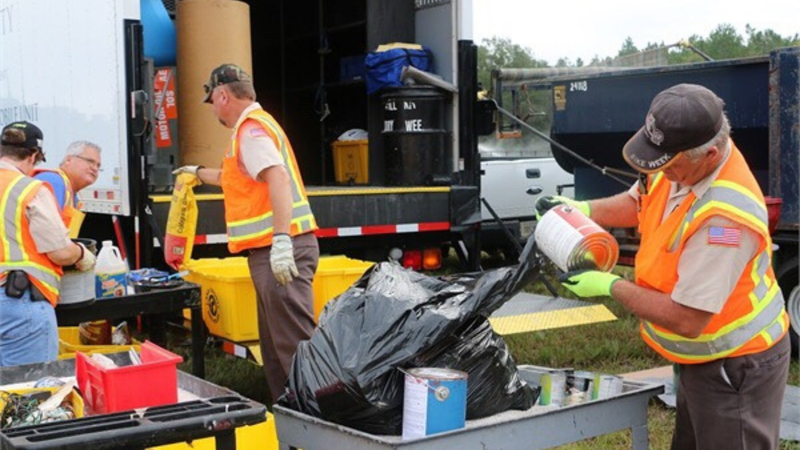 To drop off large quantities of items, visit the Central Solid Waste Facility at 13130 County Landfill Road, Tavares.